Happy Throwback Thursday, everyone! This week we ask our Facebook Live viewers what they are doing while watching us. Everything from dishes to paperwork were our answers….glad we can be of service. We bring an important party favor, though; Gangsta Rap! Not just any gangsta rap, either….we bring you the FATHER of Gangsta Rap as our new Artist of the Month. Oh yeah, and Sony Music Entertainment gets mad at us for trying to help them and that artist get paid. Confused yet? All the answers are in the show, let’s listen! Happy Throwback Thursday, everyone. We’re BACK! It pained us to miss last week, but we are here and ready to celebrate the start of year 3. 2 years gone, but we are still the same two jackasses we were when we started. Let’s see what’s on tap for this week. 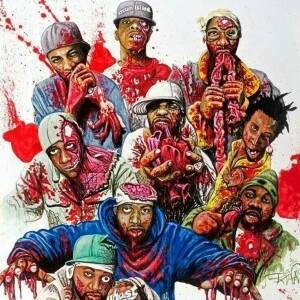 Why do we have a picture of Zombie Wu Tang? What do zombies have to do with our show? Are we just jumping on the zombie bandwagon? 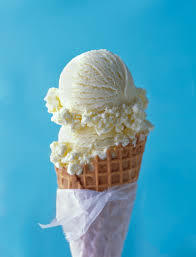 I say, “nay, nay”. We have a very special guest host this week, and he is a huge fan of the game. If you haven’t figured it out yet…..tune in now!